As a subject of study, the unity of the qurānic text assumes special importance because the Qurān does not always seem to deal with its themes in what most readers would call a systematic manner (see form and structure of the qurān). Western scholars of Islam have often spoken of the “disconnectedness” of the Qurān (see pre-1800 preoccupations of qurānic studies; post-enlightenment academic study of the qurān). Historically, most Muslim exegetes have not raised the issue at all (see exegesis of the qurān: classical and medieval). Of those who have, some have offered the apologetic explanation that a text revealed in portions (see revelation and inspiration) over more than two decades cannot have a high degree of unity (see chronology and the qurān; occasions of revelation). But a few others, notably Fakhr al-Dīn al-Rāzī (d. 606/1210) and Ibrāhīm b. Umar al-Biqāī (d. 885/1480), present the Qurān as a well-connected text (for further discussion of the concept of tanāsub/munāsaba, see traditional disciplines of qurānic study). Whereas unity arises from a perception of a given text's coherence and integration and from its being subject to a centralizing perspective. In the second chapter of al-Burhān fī ulūm al-Qurān, al-Zarkashī (d. 794/1392) seems to make this distinction, but most of his illustrative examples bear upon the Qurān's connectedness rather than upon its unity. 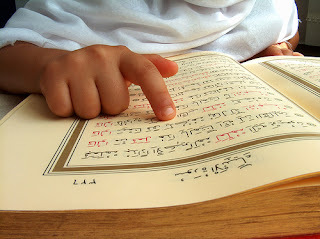 The attempts of al-Rāzī and others also do not go beyond demonstrating that the Qurān is, in the above-noted sense, a connected text. In modern times, however, a number of Muslim scholars from various parts of the Muslim world have, with varying degrees of cogency, argued that the Qurān possesses a high degree of thematic and structural unity, and this view seems to represent a modern consensus in the making (see contemporary critical practices and the qurān; exegesis of the qurān: early modern and contemporary). In the introduction to his Tafhīm al-Qurān, Abū l-Alā Mawdūdī (d. 1979) maintains that one can appreciate the unity of the qurānic text if one notes that nowhere does the Qurān depart from its subject (humankind's ultimate success and failure; see eschatology; reward and punishment), its central thesis (the need for humans to take the right attitude in life — that is, to accept God's sovereignty [q.v.] in all spheres of life and submit to him in practice; see virtues and vices, commanding and forbidding) and its goal (to invite man to adopt that right attitude). One of Sayyid Quṭb's (d. 1966) premises in Fī ẓilāl al-Qurān is that each sūra (q.v.) of the Qurān has a miḥ war (pivot, axis) that makes the sūra a unified whole. But perhaps the most sustained effort to bring out the unity of the qurānic text has been made by two exegetes of the Indian subcontinent, Ḥamīd al-Dīn al-Farāhī (d. 1930) and his student Amīn Aḥsan Iṣlāḥī (d. 1997). Developing his teacher's ideas, Iṣlāḥī in his Tadabbur-i Qurān shows that the Qurān possesses unity at several levels: the verse-sequence in each sūra deals with a well-defined theme in a methodical manner (see verses); The sūras, as a rule, exist as pairs, the two sūras of any pair being complementary to each other; and the sūras are divisible into seven groups, each dealing with a master theme that is developed systematically within the sūras of the group. The Farāhī-Iṣlāḥī thesis would seem to constitute a serious challenge to the theories that view the Qurān as a disconnected text.